Enlarge / The new Wear OS. Think you can save Android Wear? A new Google job listing (first spotted by Android Police) shows an opening for “Vice President, Hardware Engineering, Wearables” on the Google Hardware team. The person would “work collaboratively with the Senior Leadership team for Google Hardware and will be responsible for the design, development, and shipment of all Google’s Wearable products.” This job position and the recent acquisition of technology from Fossil are both solid evidence that Google is interested in producing a self-branded wearable. There are currently zero Google wearable products on the market. Google Hardware builds Pixel phones, tablets, smart speakers, Wi-Fi routers, phone-powered VR headsets, and Chromecasts, but it has never tackled a wearable. To date, the only Google-branded wearable the company has ever made is (checks notes) Google Glass, which came out five years ago and was barely a consumer product. While Google has mostly been letting the wearable hardware world pass it by, the company at least makes wearable software in the form of (Android) Wear OS. 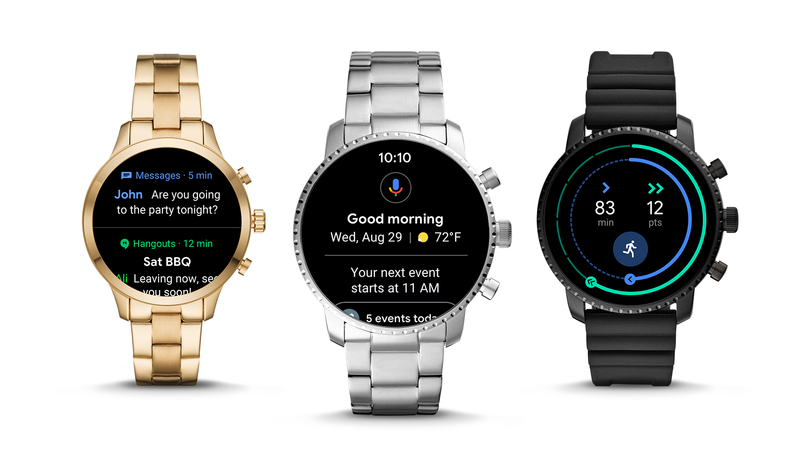 At one point Wear OS shipped on smartwatches from Samsung, LG, Sony, Huawei, Motorola, Fossil, and Asus, but most major OEMs have given up on Google’s wearable OS. A big part of the problem is that there is just nothing to make a smartwatch with. The hardware ecosystem has been strangled by Qualcomm, which refuses to make a modern smartwatch chip that can compete with Apple or Samsung’s in-house chip divisions. Qualcomm’s lack of wearable investment means its “Snapdragon Wear” chips are basically the same repackaged SoC every year. They are all built on a manufacturing process technology from 2013, which means Wear OS devices can’t compete with Apple or Samsung when it comes to speed, battery life, or device compactness. Google’s VP of Wearable Hardware Engineering would have to somehow deal with this mess. The “job responsibilities” show Google is looking to develop “devices addressing a broad spectrum of uses, features, and price points” as it works on building a “wearables portfolio.” Another Wearables-focused job listing seeks a “Wearables Design Manager” that would be responsible for designing a good-looking wearable. While just looking for wearable-focused executives now seems extremely, incredibly late in the game, it’s worth noting that Google Hardware VP Rick Osterloh was hired just six months before the launch of the Google Hardware team’s first product, the Google Pixel 1. Google can turn these things around quickly when it wants to. Interested applicants can apply at this link. Good luck, everyone!